We naysayers though are seemingly proved wrong by this decisive increase in financial commitment. And sure enough the increase in funding looks enormous but the extent of increase can only be accurately calculated after streamlining a methodology for comparing the current commitment to past ones. Doing this analysis shows that the increase in financial commitment was about 50% rather than three times. Also a closer comparison shows that the flow of money by China to Africa is shifting from lending for infrastructure construction to investments in new industrial facilities. 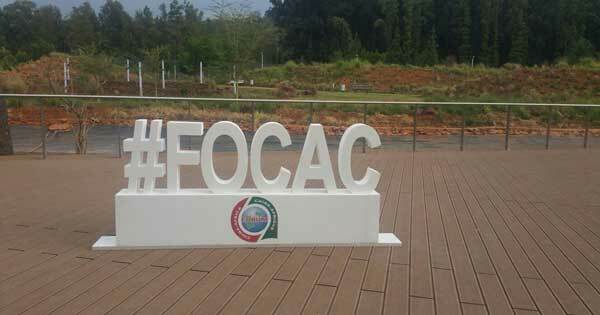 How does FOCAC 2015 compare to FOCAC 2012? The individual elements in China’s 2015 financial commitment are broken down into five categories. For comparison in 2012, US$20 billion was announced at the end of the forum for the 3 year period that followed. The entire US$20 billion announced in 2012 was for lending (e.g. preferential loans, export credits, SMEs, etc.) so this figure is comparable to the combined sum of preferential loans and export credits (item #2) and Special Loan for the Development of African SMEs (item #4) of the 2015 FOCAC package. A further US$10 billion in lending was announced in 2014 as an addition to the US$20 billion committed in 2012. The increase brings total lending for that three year period up to US$30 billion. In that same three year period, aid from China to Africa was probably US$8 billion. And, I would roughly estimate that US$2 billion from the CAD Fund was invested during this same period. The sum of lending, investment and aid during this period is then estimated at US$40 billion. Based on this streamlined calculation, when compared to the 2015 FOCAC commitment of US$60 billion, there was a 50% increase in funding compared with the 2012 FOCAC period. This conclusion depends on no additional commitments made on top of the US$60 billion in the next 3 years. When the FOCAC 2015 package is disaggregated into its five individual categories and comparisons made in turn, distinct trends appear arise from each element. 1. US$5 billion in aid: The planned aid budget will mean Africa’s share of the Chinese aid budget is set to decline dramatically. For reference Africa’s share of the aid budget exceeded 50% of the total in 2009-12, and annually averaged out to US$2.5 billion annually. Based on this period’s planned budget, aid to Africa will be US$1.6-1.7 billion per year in the next three years. 2. US$35 billion in lending: There is an increase in lending from US$30 billion in the 2012 FOCAC period to US$40 billion in the 2015 FOCAC period (US$40 billion is the sum of the US$35 billion in loans and export credits with the US$5 billion for SMEs). The bulk of this type of lending goes to infrastructure construction and has been the core of the Sino-African economic relationship. Lending moderately increased this time rather than surged upwards as in previous forums because the amount of lending is already quite substantial. Chinese financial institutions are now the largest source of project lending for infrastructure to Africa. The African market is statured with Chinese engineering contractors engaged in ferocious competition between each other. Chinese engineering contractors hold half of the market share among international contractors in Africa according to trade publication Engineering News Record. Even in small markets like Tanzania over a dozen Chinese engineering contractors compete with each other. From 2005 to 2014 in Tanzania, 14 Chinese construction contractors worked on 58 road projects in Tanzania, taking about 2/3 of the market share among international contractors. 3. US$5 billion for CAD Fund: This state backed investment fund was established in 2007 and has invested US$5 billion so far. CAD Fund is to take minority stakes in an acquisition, joining forces with other Chinese buyers. As a deal participant, the powerful heft of the CAD Fund assures other buyers, encouraging more investment to Africa from China. CAD Fund estimates that its presence has dragged along multiple times the amount of investment of the US$5 billion it has invested. 4. This US$10 billion industrialization fund is a new development. As another state backed investment fund, it could distinguish itself from CAD Fund, by investing in greenfield projects rather than participate in mergers and acquisitions, and concentrate on investing in new industrial facilities like cement and steel plants and power generation. In contrast CAD Fund invests in many sectors from a tractor factory to a newspaper media group. 1. There is a shift from construction engineering to investment. Sino-African relations in sheer monetary amount has had an economic core in lending by Chinese policy banks for civil works in Africa. This time the commitments are more salient in the form of investments (CAD Fund and the industrialization fund). This will shift the image of China in Africa from a construction contractor that builds roads, water treatment, etc. to that of an investor and owner operating cement plant and power facilities. 2. Growth but at a slower pace. These commitments show state support for increasing economic engagement from China is not exhausted but the pace of growth has slowed down compared to the fast growth of past periods when increases between FOCAC rounds of two to three times was the norm. The critical factor behind this slower increase is low commodity prices that have curtailed plans to develop or expand investments in natural resources and hampered the budgets of host countries in commencing infrastructure construction. In addition some African host governments have awful track records in sticking to obligations (e.g. Sahel governments that have extracted new demands from Chinese oil majors after major investments commence operations); saturation of the construction engineering market where there is ferocious competition between dozens of Chinese contractors resulting in low profits and also limited further potential gains in market share; and the shadow cast over Sino-African economic relations by the more ambitious One Belt, One Road proposed by President Xi to primarily integrate Eurasia, a mammoth project that will take the lion’s share of overseas financing resources. Kai Xue is a corporate lawyer based in Beijing who advises clients on investments in Africa and also works closely with China’s major policy banks like the Exim Bank and the China Development Bank. 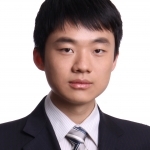 Kai Xue is also a regular commentator on Sino-African affairs in a number of Chinese and African newspapers and blogs. Hi Kai Xue, and Eric/Cobus. This is a good roundup and analysis of the new financial commitments. However, I want to just check your understanding of the $5bn aid/grants figure (which incidentally does not actually appear in the action plan). Our understanding is that this would be additional to existing bilateral aid – i.e. if existing aid to Africa is approx. $2.5bn per year, then an additional $1.67bn per year would be spent – effectively a 50% increase – as opposed to a cut in half as you suggest here… Do you think this is equally plausible or do you have further information to suggest it is not? Really appreciate the information and inputs given by Kai Xue. The more relative and factual information is shared the better all of us can move forward without speculation and false perceptions. The China/Africa relationship has already surprised many and we strive for more real and actual data. A huge shortage of “realness” still exist across all sectors when talking and sharing on the China/Africa connection. Hard work lies ahead and responsible feedback required from all role players. Therefore websites and social media platforms like this one by the China Africa Project should be appreciated for very direct and valued information. The last 15 years of strengthening relations between China and Africa was fantastic to follow and a intriguing adventure. Personally I am looking forward to being part of the next 20 years. The influence of the “One Belt, One Road” strategic development plan on Africa’s East coast, FOCAC, NEPAD, AFRICA UNION 2063 seems to start focusing in a common direction and building on the foundations laid. A much wiser China now than 10 years ago is changing its ways and the manner of involvement in Africa. The dynamics of the economy inside China is shifting and transforming as it moves into new territory and learning important lessons about its own growth as well as its links globally. Many “clever” people gave their opinions during the last 10 years and many will be doing it going forward. What we need is “on the ground” facts and real information void of speculation from far away. Hopefully we’ll start seeing more informed commentaries and researched data appearing that will help build this important relationship in wisdom over the next 10, 20 and 50 years. From an Africa and China perspective we will appreciate the long term vision without short term selfish gain which always seems to make its appearance where people try to benefit personally because of their own motives. Looking forward to fascinating, dynamic and positive increase in valuable information like this one by Kai Xue to support all efforts of a better China/Africa connection.